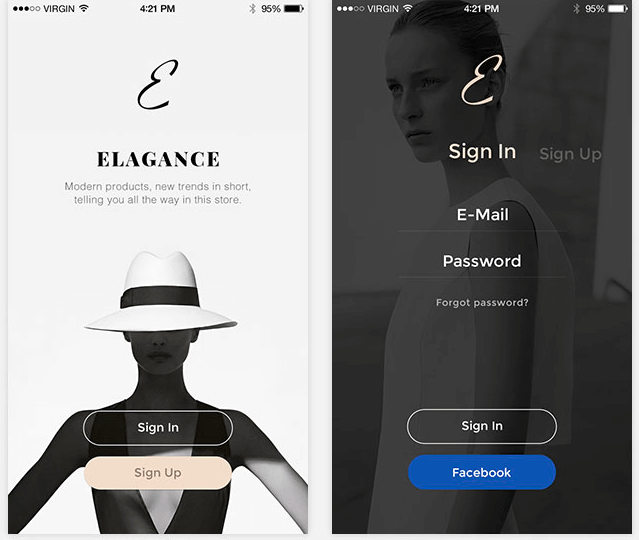 Elegance and style, the right words to describe this beautiful set of 12 high-quality iOS UI templates featuring clothes and shopping theme. Available in Photoshop and Sketch formats. You're getting 12 fully layered and well-organized PSD and Sketch files, 750 x 1334 crystal clear screens, fully customizable color structure, and icons with perfect sharpness and vector support.